Chris P. and MiniAussie, a warm welcome! Thank you I am glad to be here! 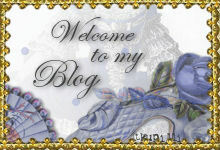 and welcome to my blog also!